A bell should be sounded melodiously in an even rhythm. 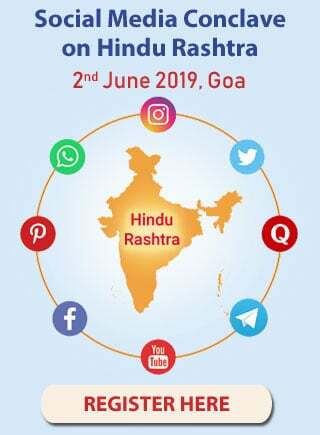 Rhythmic accompaniment of musical instruments like the cymbals, harmonium and Tabla (an Indian drum) etc should be there. 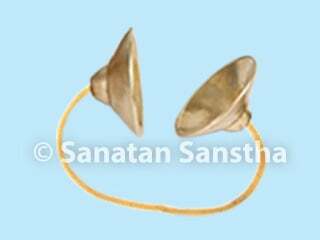 Accompaniment of these musical instruments enhances the bhav and makes the Arti more effective. 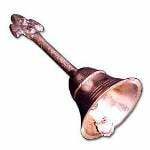 The bell used in ritualistic worship should be sounded only when singing the Arti. The sound of the bell should be melodiously and evenly maintained throughout the Arti. 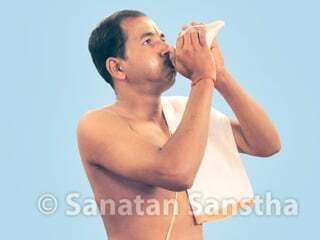 The frequencies of Deities in the Universe, attracted to the Arti move constantly towards the devotee because of the frequencies in the energy of the sound transmitted by the bell. Due to this energy, the sattva predominant frequencies transmitted by Deities are converted into subtle waves. Since these vibrations are most subtle, their effect on the environment lasts longer. The energy created by the Arti is bound in these vibrations. Hence, the subtle sound of the Arti transmitted by these waves can be heard even after the Arti is over. 4. The naadbrahma (the Brahma in the sound) arising out of the bell. 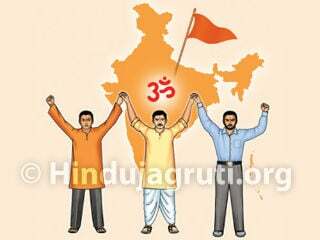 Performing Aarti - Why is Arti performed twice a day? 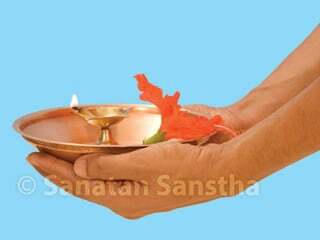 Why Aarti plate should be waved in a full circle? 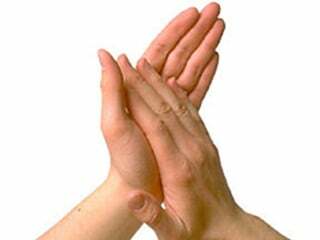 Should we clap during an Arti?